I didn’t really announce any resolutions I had for 2019, but one of my primary resolutions was to quit caffeine for at least a month! Part of the reason I didn’t announce it was because I was fairly certain I would fail at it. Ha! But here we are, a month into the year and I can officially say I have quit caffeine. My caffeine usage wasn’t crazy. I know many people who drink many multiples of what I used to drink. Generally, I would have one big mug of coffee right away in the morning and then possibly a smaller second cup or a soda in the afternoon for a little pick-me-up. Nothing out of control, for sure. I only had one reason for wanting to quit caffeine: Heart Palpitations. Okay, not the dangerous kind. They are the pre-ventricle contractions that are fairly common, but they really annoy me. I started getting them occasionally in my mid-20s and I found that if I stop drinking caffeine for a few days, they go away. So, that was my main impetus for quitting caffeine, but I decided to extend the experiment to at least a month to see what other affects might come of it. Believe it or not, caffeine is the world’s most consumed drug (psychoactive). It’s generally considered to be safe in reasonable amounts. There are actually many positive effects of drinking caffeine, but many negative as well. It’s classified as safe by the FDA but it is possible to have toxic doses of caffeine, like any drug. The most common effect of caffeine is that it reduces drowsiness (DUH). It has also been shown to improve reaction time, motor skills, and even some memory. All good things! 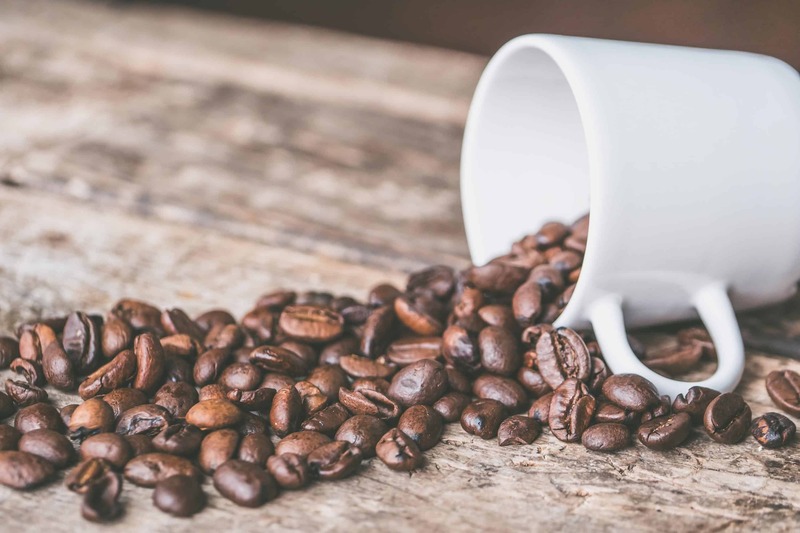 The downsides are probably known to anybody who has consumed too much caffeine: jitteriness, sleeplessness, and increased gastric acid production. Plus, occasionally and in my case, weird heart stuff. How did I Quit Caffeine? I had a pretty simple plan in place for quitting caffeine. First, I knew I needed to replace my morning coffee ritual. I knew I would desperately miss the ritual of something hot and soothing in the morning. So I loaded up on GOOD decaf coffee and a variety of decaf teas including some Chai. I figured having a variety would help. Most painfully, I would still make Betsy’s regular coffee in the morning because she had no interest in embarking on this crazy idea with me. So I’d make two pots. For the afternoon lull, I just loaded up on fizzy waters. I’ve never really been a huge soda drinker so I would just snag a water or maybe make a second tea. In general, this worked pretty great! There has been a few days where I desperately wanted caffeine, like when the kids didn’t sleep which means I didn’t sleep but then had to function all the next day. Also, I didn’t experience any crazy withdrawals from caffeine. In the 3-4 day range I did get a few headaches, but they would go away pretty quickly. After that it was smooth sailing! These are NOT scientific in any way, but I have noticed some benefits this month, which I think are at least correlated with me quitting caffeine. Better Sleep. This one was obvious, but I was surprised by HOW much better. I sleep soundly now and fall asleep very quickly. Generally, barring any kiddo issues, I wake up feeling pretty rested and ready to go. Weight Loss. This was unexpected, but I did lose about five pounds this month and have kept it off. I can’t really think of any dietary or exercise changes I made so I’ve somehow tied these two things together. I think this might have something to do with sugar. I usually drink coffee with sugar and milk, but tea I drink with nothing in it. Plus, I’ll occasionally have a pastry or something with coffee, but nothing with tea. More Even Energy. My days used to be kind of a rollercoaster of up and down energy, but now they are much more even. I’m never quite as on eleven as I used to be but also I never really feel low energy either. Will I go back to Caffeine? This is a tough one! I can’t say I will never drink caffeine again. I’m sure I will have the occasional cup (or I do love the occasional whiskey and coke). But, I think my new normal is definitely going to be caffeine free. Has anybody quit caffeine or considered it? Leave a comment! Finding this was good timing for me, I considered quitting caffeine a few times recently and needed a final push. I’m especially interested in less sugar in my diet. Quitting. Was consuming 2-400mg. Down to just 45mg from Green tea. Better sleep. Even energy. But the main reason was that caffeine was stirring up my neuropathy. General outlook is also better. Beware, non-organic coffee is one of the worse foods for pesticide residual. Plus it’s hyper acidic. Be free. I was not only addicted, but I wrote a book about the addiction, it is a eye opener and a wake-up call. I give the details of what it was like to be addicted to caffeine and my deliverance. Title:CAFFEINE MY ADDICTION and DELIVERANCE. You can obtain this book on Amazon, Barnes and Noble. You can visit my website and click on Patricia’s books. If you have further questions you can call the number on my website. $200 per month Starbucks habit plus other caffeine drinks. A must read.